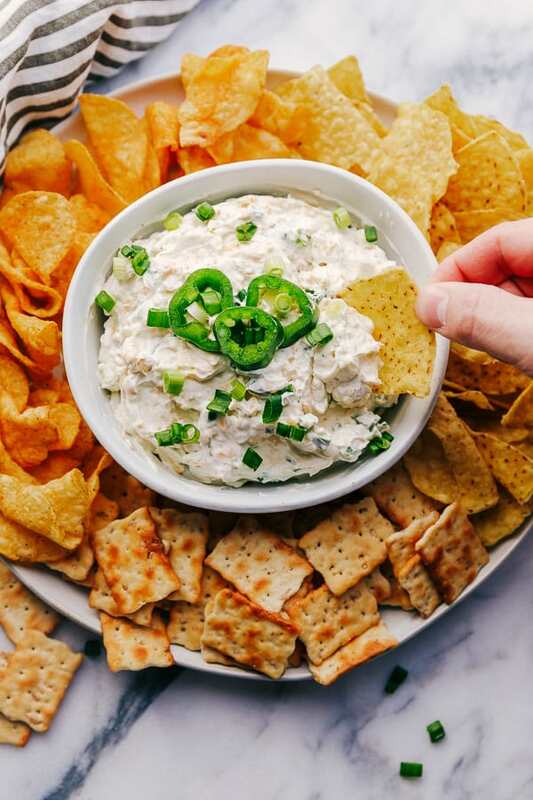 This Jalapeno Ranch Dip is the perfect appetizer for your Game Day event. 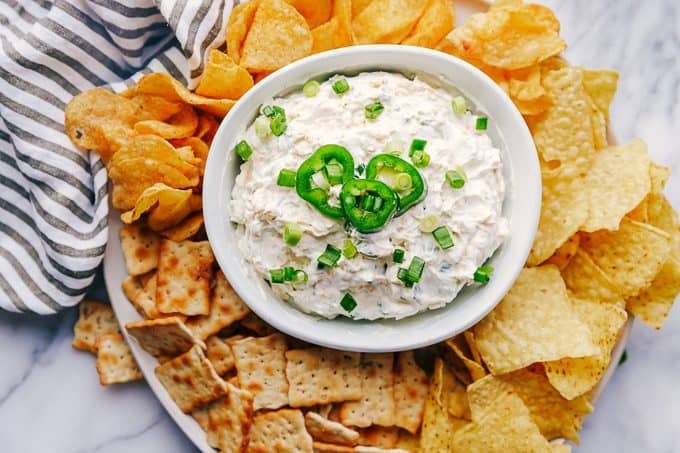 Made with Shamrock Farms Sour Cream, ranch dressing, diced jalapenos, and more, it’s both easy and delicious making it a win-win for your basketball playoff parties! I have to admit that super easy and absolutely delicious recipes are my favorites. I mean, who doesn’t love them? They make life so much easier and I shamelessly admit that I adore looking like the hero. C’mon, I can’t be the only one who loves the smiles along with the ooh’s and aah’s that are heard when someone tastes something I’ve made. They’re telling you in not so many words that they absolutely love it, want more and that YOU rocked whatever it is you made! You feel good when you make your loved ones happy with the food you make, don’t you? 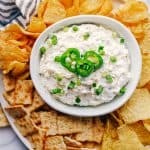 This Jalapeño Ranch Dip is one of those recipes. The star ingredient is Shamrock Farms Sour Cream. 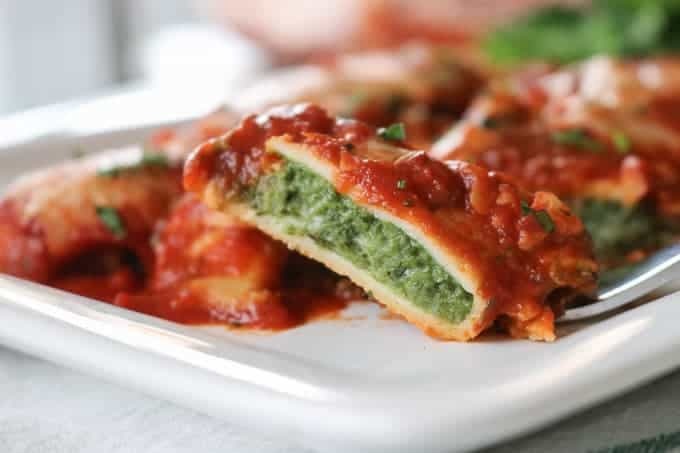 I’ve used it and more of their delicious products in recipes both here on my blog (see below), and at home in my kitchen. 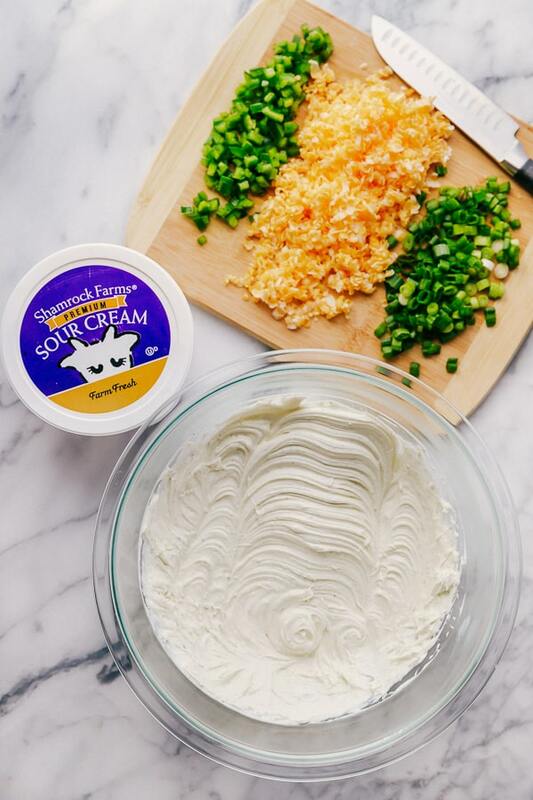 I always have Shamrock Farms items on hand in my fridge, especially their sour cream because not only do I use it in recipes, but we also use it as a topping for tacos, nachos, and soups. It starts with the best milk because it comes from happy cows that are never given growth hormones. You’ll definitely be able to taste the difference and you’ll feel good about serving it to your family. 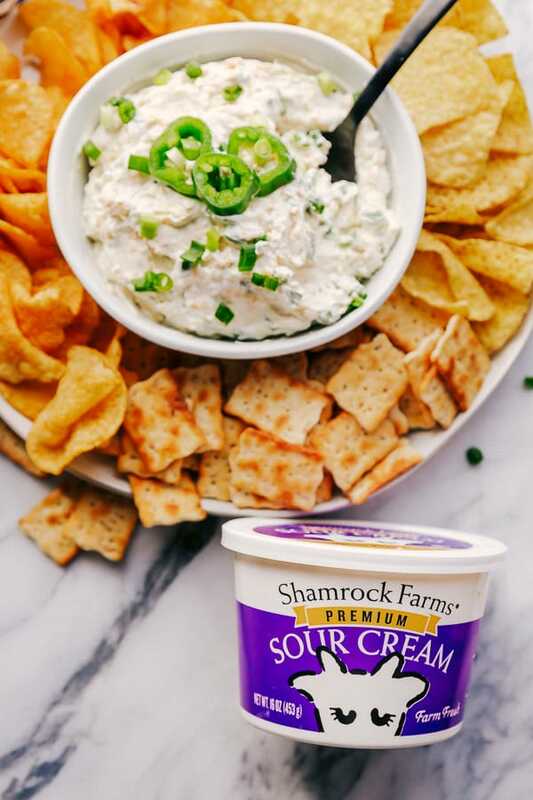 Not only is Shamrock Farms Sour Cream delicious in this Jalapeño Ranch Dip, but you’ll also love it in this Lime Cheesecake Dip, too! 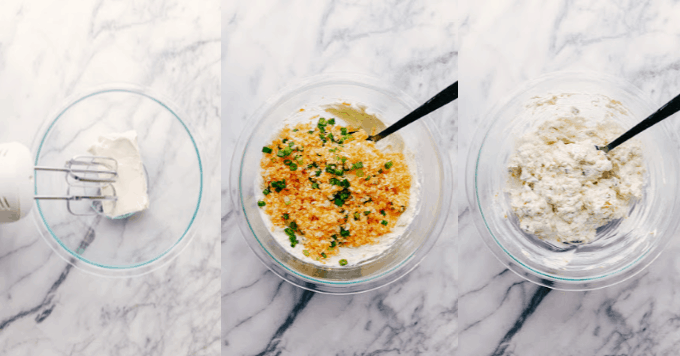 SAVE THIS JALAPENO RANCH DIP TO YOUR FAVORITE PINTEREST BOARD! For three generations, this family-owned farm has been using a hands-on approach with all of their products, resulting in a difference you can taste. I love that their milk is locally sourced from their very own dairy right in Arizona. You’re even invited you to tour the farm. You can meet all of those happy cows and see their commitment to high-quality animal care for yourself. Shamrock Farms is open every October through May, so pay those cows a visit! If there’s one thing I’ve learned throughout my years of cooking and baking is that using high-quality ingredients definitely makes a difference in not only how a recipe turns out, but also in how it tastes. 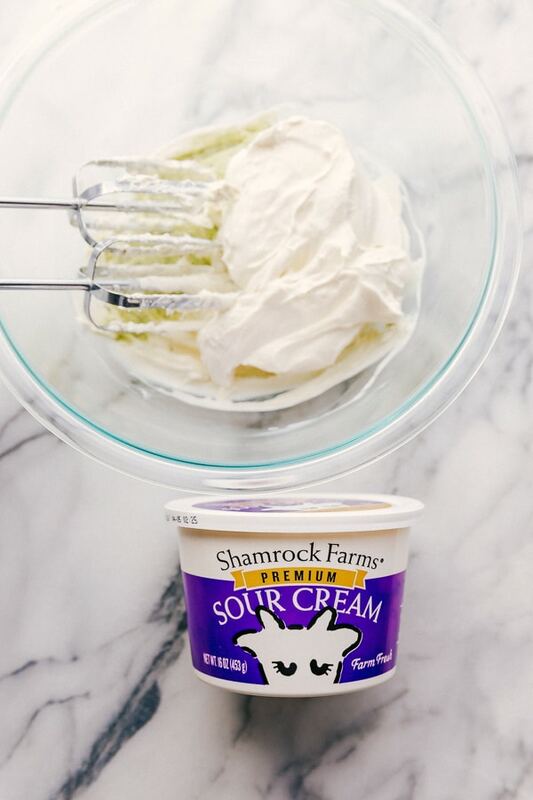 Use Shamrock Farms sour cream. You’ll be so happy when you do because you and your family and friends will be able to taste the difference. This recipe is beyond easy to put together. I use this hand mixer to mix the Shamrock Farms sour cream, cream cheese, and Ranch dressing mix. This spatula is perfect for folding in the shredded cheese and diced jalapeños. I found it easiest and that it tastes better when I use a packet of dry Ranch dressing mix as opposed to using regular Ranch dressing. There’s just more flavor. I used one jalapeño, but if you like it kicked up a bit feel free to add another. A bit of Sriracha would be a great addition as well! It can be served immediately after making, but I like to refrigerate it for at least an hour to give all the flavors a chance to blend. We love it served with crackers, but it’s great with chips and a sliced baguette as well. You can also use Shamrock Farms sour cream in these delicious recipes from my blogger friends. Your day will be off to a great start when you make this Sour Cream Chocolate Chip Coffee CakeSour Cream Chocolate Chip Coffee Cake from Lindsay at Love and Olive Oil. Great flavors paired with a delicious cup of coffee are things I certainly don’t mind waking up to! I love having biscuits with dinner and Deborah at Taste and Tell has these Garlic and Cheddar Sour Cream Biscuits that sound like they would just melt in your mouth. These are on my list of things to make SOON! Sour cream is delicious in baked goods, but it’s also great in desserts, too! This Best Key Lime Pie Recipe from Mom on Timeout is a VERY popular recipe. And it’s no wonder because Trish definitely knows her stuff and how to make delicious food. She’s even got her own cookbook! 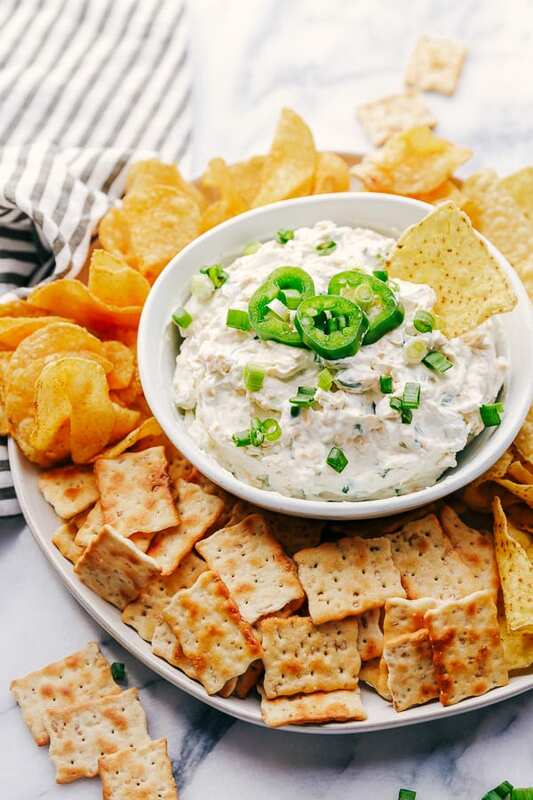 This Jalapeno Ranch Dip is the perfect appetizer for your Game Day event. 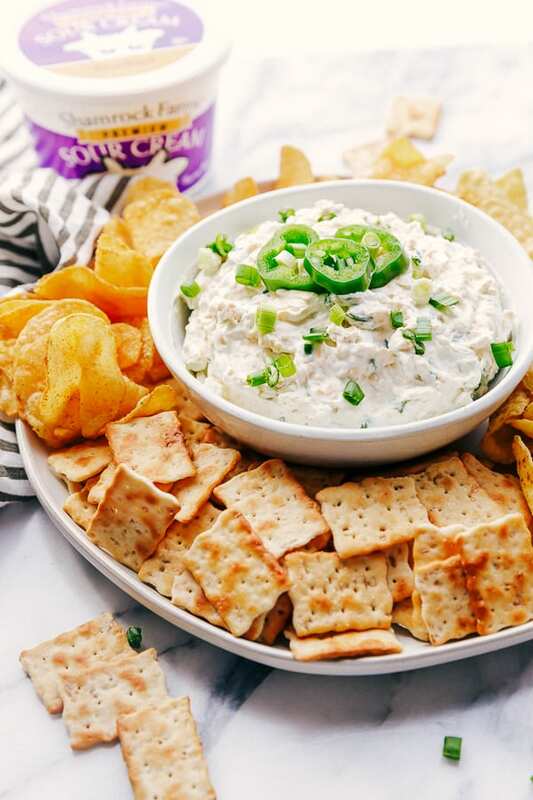 Made with Shamrock Farms Sour Cream, ranch dressing, diced jalapenos, and more, it's both easy and delicious making it a win-win for your playoff parties! In a mixer, beat the cream cheese until smooth. Add the Shamrocks Farm Sour Cream and packet of Ranch dressing mix. Mix until well combined. Add the shredded cheese, diced jalapeño, and green onion and mix well. 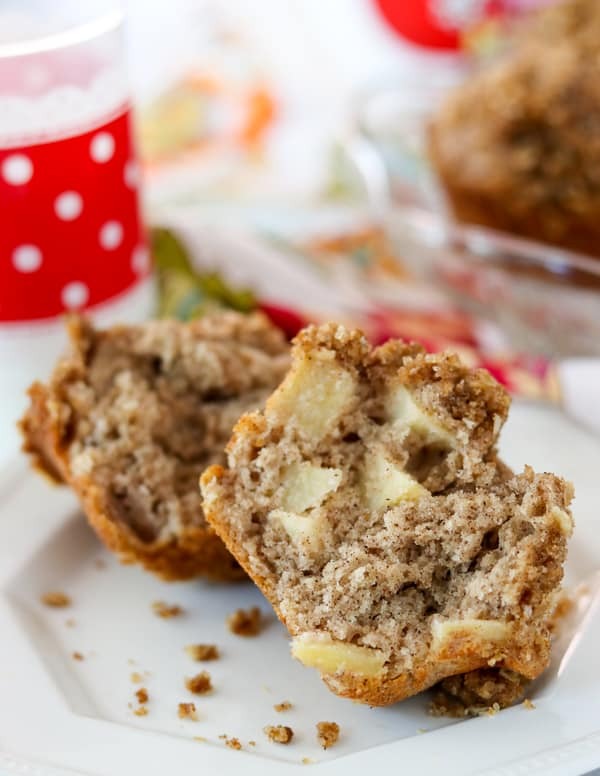 Can be served immediately or cover and refrigerate for one hour for a more intense flavor. 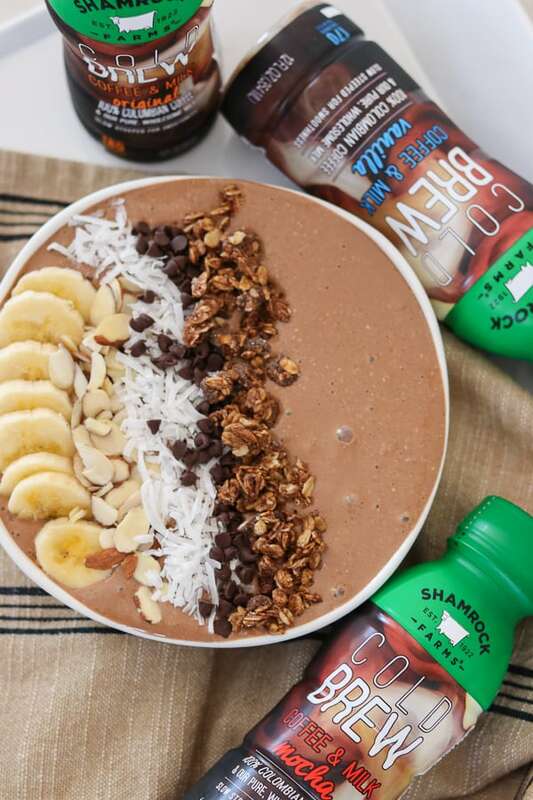 You can learn more about Shamrock Farms and their products by visiting their website, Facebook page, and by following them on Instagram @shamrockfarmsmilk.